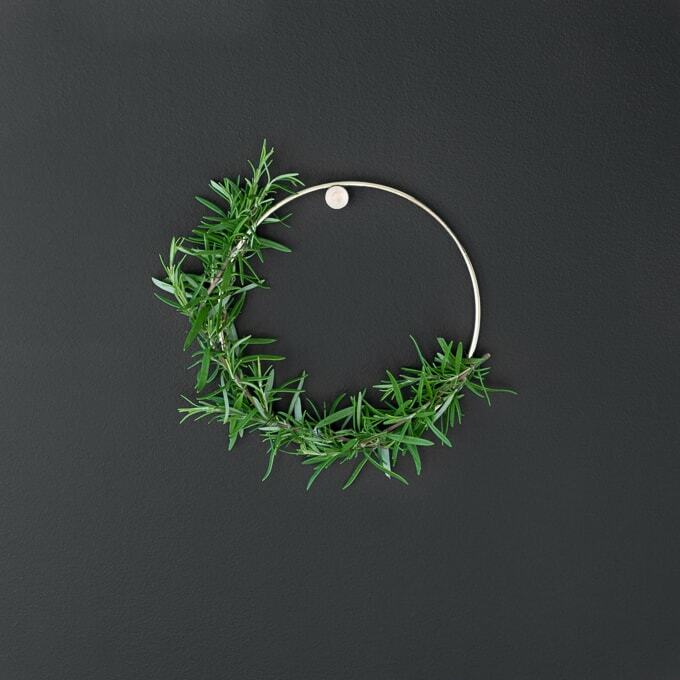 Looking for modern holiday wreath ideas? 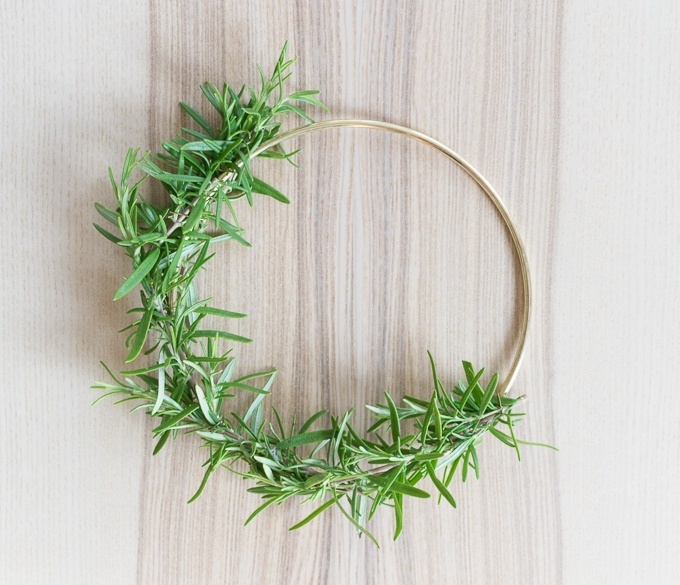 Check out my small DIY rosemary and gold wreath. I had a magical day off of work recently…and by that I mean Mike was at work and Ramona was at daycare. 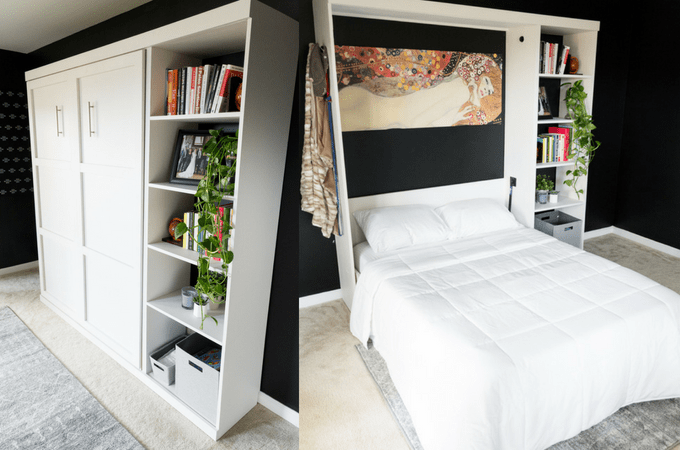 I rarely have the house to myself these days, so what did I do? Crafted. 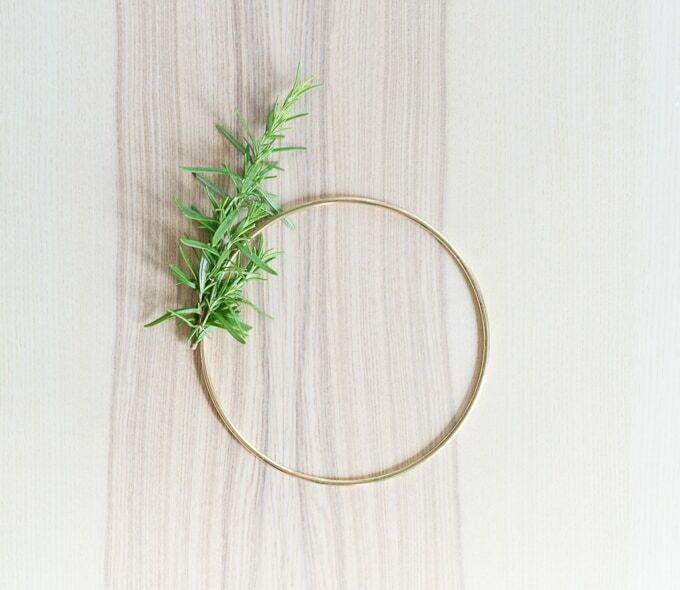 I decided to experiment with a little rosemary wreath after I found these pretty gold hoops at the craft store. What do you think? Simple. Modern. Smells lovely. Just up my alley. 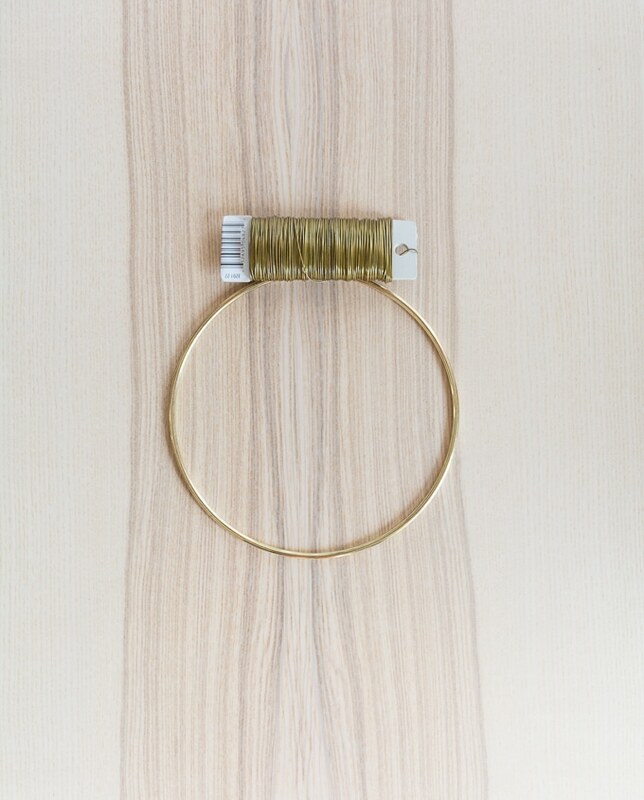 Gold hoop—I stumbled on to this one at Jo-Ann Fabric and Craft in the felt aisle. There were several different sizes. Very similar on Amazon here. 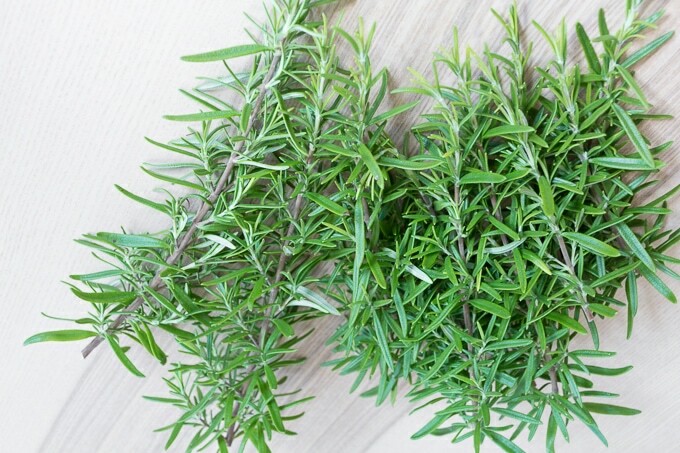 Step 1: First I clipped some fresh rosemary, focusing on the ends of each stem. 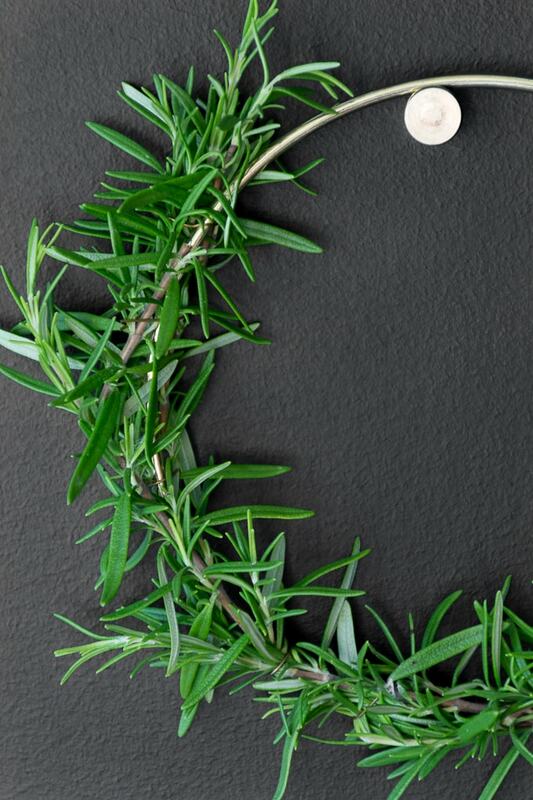 The rosemary stem gets thinner and more pliable as you get closer to the top, making it easier to manipulate around the hoop. Next I took a few minutes to envision the design I wanted. 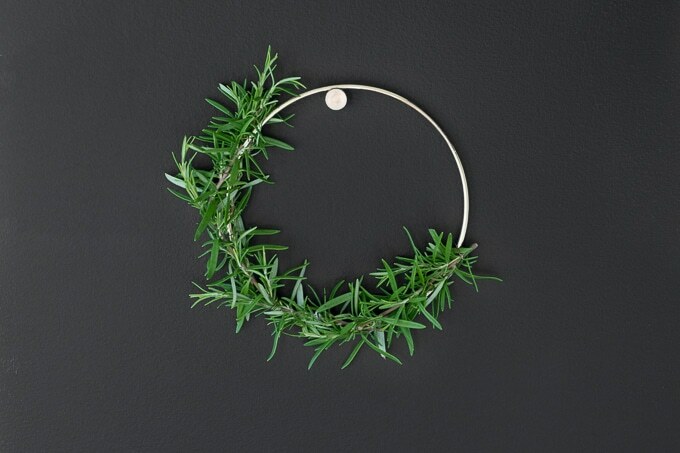 Step 2: I started by taking one sprig of rosemary, a tiny cut of the gold wire, and attaching the rosemary to the hoop using the wire. The tip of the rosemary sprig will not be attached to the hoop yet. That’s ok. Step 3: Next I took another sprig of rosemary and attached the bottom of it at about the mid-point of the previous spring. This will pull down that part that was spiking up. Then I just continued it all the way around the hoop. Except about 60% of the way around, I decided it looked amazing as it and that I didn’t want to cover the entire gold hoop. 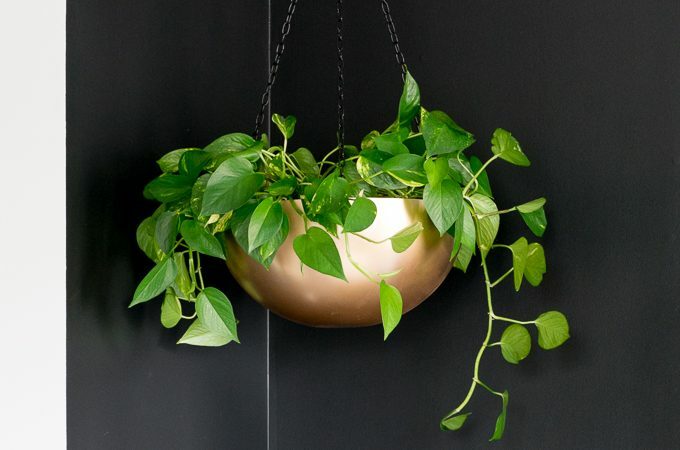 It looks lovely! And that’s it. That simple. And it smells lovely!